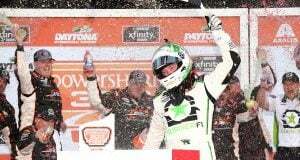 DAYTONA BEACH, Fla. – Tyler Reddick edged Elliott Sadler at the checkered flag to win Saturday’s NASCAR Xfinity Series PowerShares QQQ 300 at Daytona International Speedway in a fifth overtime finish. 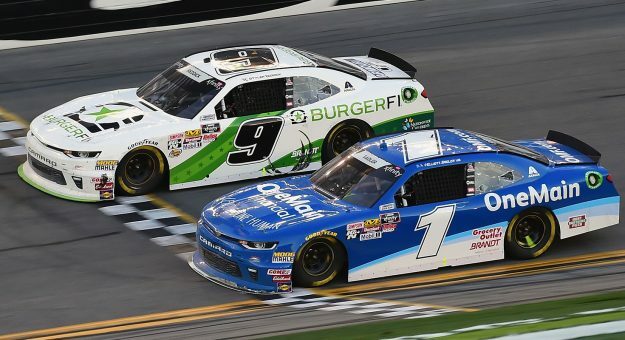 Reddick scored his first career win for JR Motorsports and had to survive a wild day and his teammate in Sadler to take the victory in a photo finish. 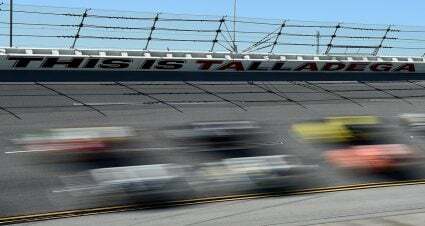 The finish was the closest in NASCAR history and recorded at 0.0004-seconds. Reddick took the ride driven to the championship last year by William Byron and now with his win he is already qualified for the playoffs. After the opening two stages featured intense racing with drivers racing three and sometimes four wide, the final stage erupted into a volcano of accidents and wrecks. 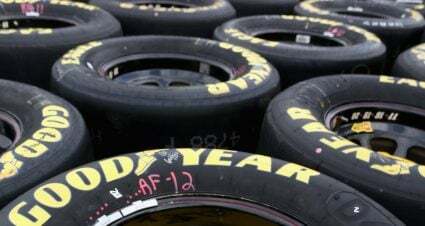 The continuous string of incidents necessitated a record five overtime periods before Reddick was able to outlast the day and Sadler for the win. 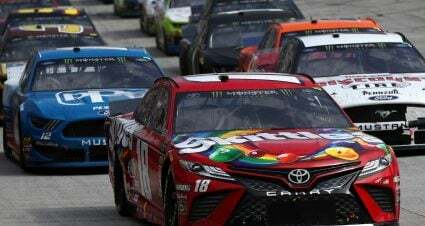 Sadler, who was penalized along with teammate Chase Elliott earlier in the race for locking bumpers, had to also rebound from a late spin that triggered the race going into overtime. 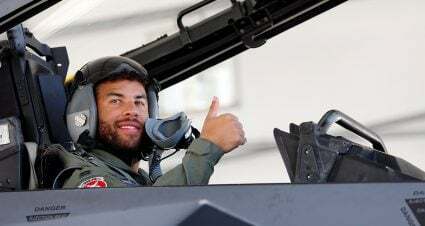 He came up one position short of making an incredible comeback. As for the penalty assessed for locking bumpers, Sadler was not entirely sure about the call. 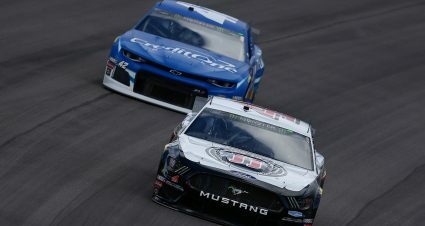 The 100th series race sponsored by Xfinity was scheduled for 130 laps but wound up going 143 thanks to the multiple overtimes. Ryan Reed, Kaz Grala and Garrett Smithley rounded out the top five. 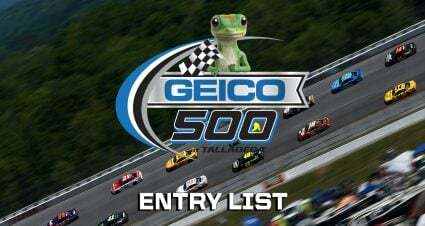 Spencer Gallagher, Ryan Truex, Daniel Suarez, Ross Chastain and Brandon Jones completed the first 10 finishers. 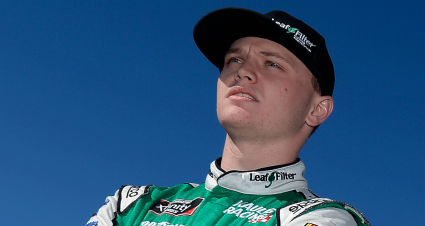 Eight of the top 10 were Xfinity Series regulars. The race’s 12 cautions were a series track record. There was also one red flag displayed. Kyle Larson and Chase Elliott won the race’s first two stages. 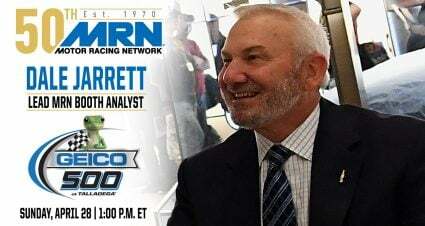 The NASCAR Xfinity Series now heads to Atlanta Motor Speedway next Saturday afternoon.